The typical furnace filter installed in the duct-work of most home heating and/or air–conditioning systems is a simple air cleaner. This basic filtering system may be upgraded by using another filter to trap additional pollutants or by adding additional air–cleaning devices. An alternative to upgrading the induct air cleaning system is using individual room, portable air cleaners. 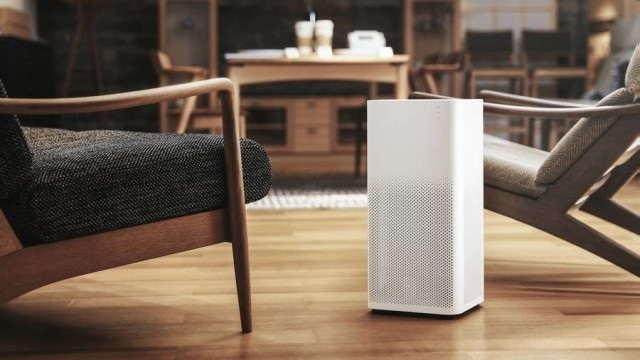 Air cleaners generally rely on filtration, or the attraction of charged particles to the air cleaning device itself or to surfaces within the home, for the removal of pollutants. 1. Source control eliminates individual sources of pollutants or reduces their emissions, and is generally the most effective strategy. Some sources, like those that contain asbestos, can be sealed or enclosed; others, like combustion appliances, can be adjusted to decrease the amount of emissions. Unfortunately, not all pollutant sources can be identified and practically eliminated or reduced. 2. Ventilation brings outside air indoors. It can be achieved by opening windows and doors, by turning on local bathroom or kitchen exhaust fans, or, in some situations, by the use of mechanical ventilation systems. However, there are practical limits to the extent ventilation can be used to reduce airborne pollutants. Costs for heating or cooling incoming air can be significant, and outdoor air itself may contain undesirable levels of contaminants. 3. Air cleaning may serve as an adjunct to source control and ventilation. However, the use of air cleaning devices alone cannot assure adequate air quality, particularly where significant sources are present and ventilation is inadequate. Air cleaners are usually classified by the method employed for removing particles of various sizes from the air.